Liverpool legend-turned-pundit Jamie Carragher believes his former club have a minor advantage over Manchester City in the Premier League title race, given the latter are likely to prioritise success in both the domestic and European competitions. The Reds suffered their first league defeat of the season against City earlier this month but they still have a handy four-point gap over the holders at the top of the table. 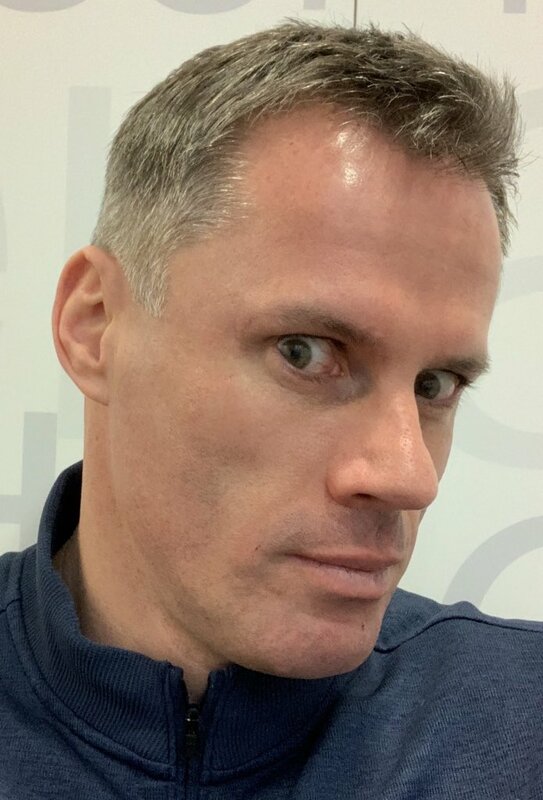 Speaking to Sky Sports, Carragher highlighted that the current season could be the Reds’ best chance yet to end the wait for the maiden Premier League crown. He added that the Citizens could be at a minor disadvantage during the backend of the season, given their hierarchy would expect Pep Guardiola to guide the club to Champions League success as well. Over the past week, the Reds have suffered a minor setback with back-to-back losses across all competitions and the latter of those saw them eliminated from the FA Cup within the third round. However, the Merseyside outfit have the opportunity to turn things around at Brighton & Hove Albion on Saturday and a victory would extend their lead to seven points, thereby putting the pressure back on the Citizens, who don’t feature until Monday night against Wolverhampton Wanderers at home. Guardiola’s team only managed a 1-1 draw against the Wolves during the reverse fixture.